Имате въпрос към Welcome Guesthouse Myeongdong? 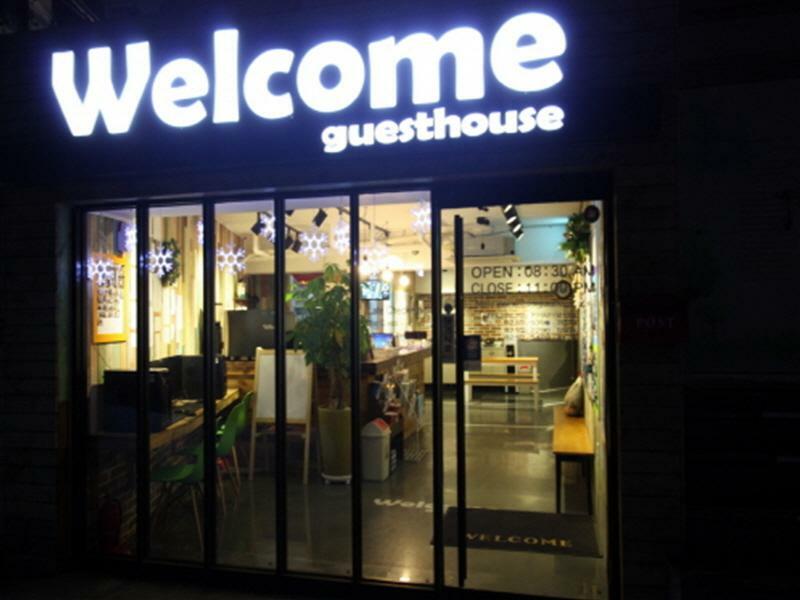 Welcome Guesthouse Myeongdong, който се намира в Myeong-dong, Сеул, е популярно място за туристи. Вълнуващият център на града е само на 0.6km оттук. С удобното си местоположение хотелът предлага лесен достъп до всички градски забележителности, които задължително трябва да се видят. Welcome Guesthouse Myeongdong също така предлага много съоръжения за обогатяване на Вашия престой в Сеул. Хотелът осигурява безплатен WiFi достъп във всички стаи, доставки на хранителни стоки, индивидуално настаняване/напускане, експресно настаняване/напускане, съхраняване на багаж, за да гарантира комфорта на своите гости. Гостите на хотела могат да изберат една от 12 стаи, в които се усеща атмосферата на спокойствие и хармония. Освен това в хотела можете да се възползвате от множество предложения за приятно прекарване на свободното време. С превъзходните си удобства и отличното си местоположение Welcome Guesthouse Myeongdong е идеално място, в което можете да се насладите на престоя си в Сеул. The size of room was OK and location is good , near train station and bus stops . The breakfast is pretty basic but the time and quality were better than other guesthouses. The staff are really friendly and help you on everything. Отседнахме 8 вечер/и в април 2015 г. Overall it was a very comfortable stay for us, the room are clean and comfortable. We had great time here. And ts REALLY very near to the subway, its very convenient for us as tourist that need to travel with subway everyday! The myeongdong main attraction its just accross the road. And the famous Two Two Fried Chicken is just around the corner next to the Pacific Hotel. The staff ( Brian )provided good service. He very helpful when we ask for directions and tourist spots. He will print out the directions and show us how to go to the directions. The room very comfortable. Friendly and helpful staffs and the room+bathroom very clean. The only draw back is the noise from next door occupant(s). I booked a single room and the room that shares the same wall had 2 occupants. I could hear them showering and I can hear every single word of their conversation quite clearly. Thank goodness, I had noise cancelling headphone. Although quite a small room, it had everything I needed, provided easy access and friendly staff who helped the best they could. It's "no frills" but very comfortable! I really enjoyed my stay here and would return. Had everything I needed and was so central to all places I needed to visit. Staff were not forthcoming but ready to,help if required. Breakfast is not very exciting for me as I don't eat wheat. But I will be back. And I will recommend to friends. 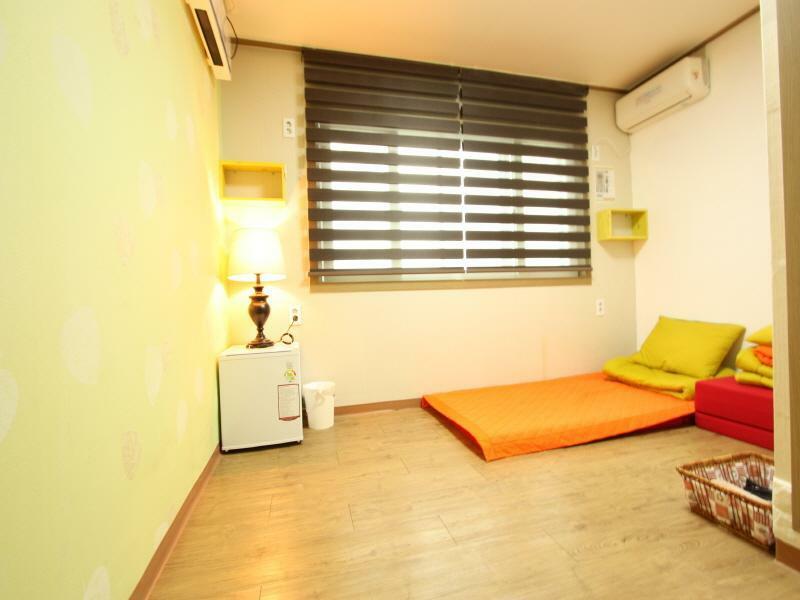 This guesthouse is near the Myeong-dong & Seoul Tower. The attendants deal with people warmly . The room is small but its clean and it has a refrigerator.If your luggage is very heavy you should know——there is no elevator，and the way to the hotel has a long sloping road. 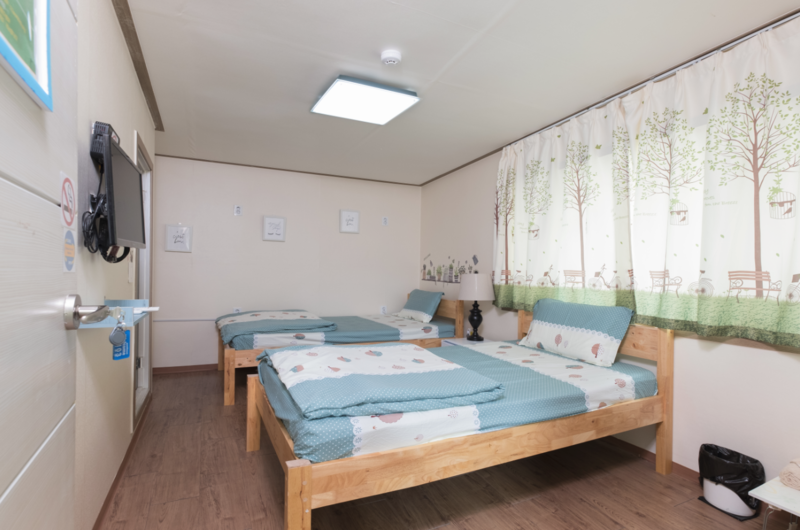 Pros - value pricing - central location - clean environment - helpful staff Cons - the walk to the guesthouse from myeongdon station could be tedious if you're carry luggage as it is uphill and about 5-10minutes. - the rooms are closeby and walls are thin, so you could hear even the slightest noise and voice. recommended to get an earplug if you are a light sleeper. We love the place very much, the staffs are very helpful & friendly. They helped us to carry our luggage to our room. We loved our room because it is very beautiful at the same time it is very clean & tidy (exactly same as the photos given). It was very easy to find as we were given very clear instructions to get there. We will definitely stay there again. One week before my stay,the hostel staff sent me a detailed (with photos) direction on how to get there from Myeongdong MRT station. And because i will arrive at middle night, they leave my key in the cute red mailbox outside. Everything is so thoughtful. The condition of the room is standard, but surprisingly with all the amenities: toiletries, towels, hairdryer etc. Everything looks quite new and clean. It is located between Myeongdong and Nam San, so you need to walk up a steep slope for 5mins from MRT. It is no problem for a backpacker like me but maybe not for ppl with kids or large suitcases. I actually prefer this location compared to hotels even closer to Myeongdong. It is quieter, with neighborhood food stores nearby and chance to see ordinary life of local ppl (drunk coworkers after 10pm outside of BBQ place). And as for shopping, walk down the slope and cross the road, you will enter the noisy happening massive shopping ground of Myeongdong! Overall, i am very happy with my stay here. Some tips for food nearby: there is a Issac toast down the road, great option of breakfast. There is also a Two two chicken down the other road (two ways to go down to Myeongdong), good for supper. It is not my first time stay at this hostel, again, everything is as good as before, however, too many people like this hostel, I can't get a room for my next trip even though I book it 2 months ago!! This guesthouse located at the middle of mountain, i was taking a big luggage to climb the mountain and that time is snowing, it is quite hard for me to look for the guesthouse. So i suggest that don't bring too big or too heavy luggage to the guesthouse. The staff is friendly and have a good english. Besides that, the room is quite big compare to others guesthouse. Nice location, just walk 15mins can reach myeongdong. Many convenient shop and restaurant nearby also. Liked our stay at Welcome very much. It is located centrally at myeongdong which is near to tourist attraction, and staffs are very friendly and helpful as well. Moreover you get private bathroom which some guesthouses don't offer. My stay was great. Easily to access to the main attractions from the guesthouse. The room was a bit small than we expect but clean and cozy. The things to be improved is the water pressure of the shower. The water pressure is not quite stable, sometimes is too weak and cannot enjoy a shower very much. Good location, very close to subway and Myeong-dong commercial area. About 3mins walking to subway. 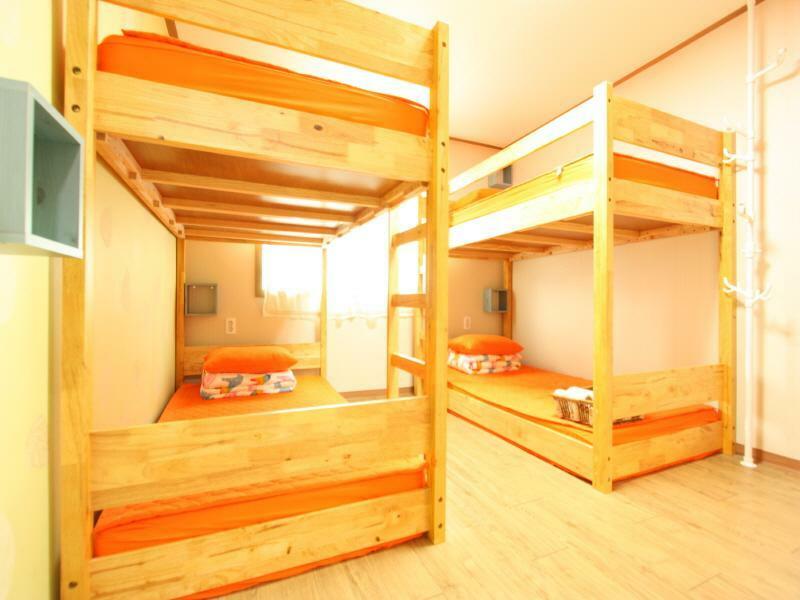 it is a clean and warm guesthouse. And the staffs were very nice and helpful. But the staff just stay in the reception at 9:00am to 11pm, so the guest must pay attention to the check-in time. also the bathroom is a liitle bit small.